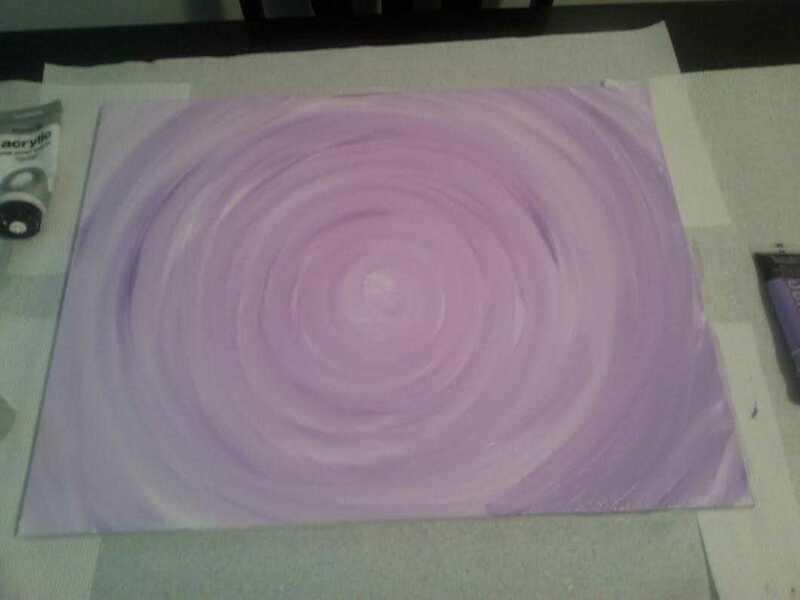 If there’s one kind of canvas I love to create, it’s a color blend. It’s fun, it’s easy, and it always comes out great. The best part is aside from your usual items, all you need is water in a spray bottle! Gather all your items & keep them close if you’re using acrylic paints like I do because they tend to dry faster than you’d think. Make sure you prep your area because sometimes this process can be a bit messy. Once you and your items are prepared it’s ready, set, go! 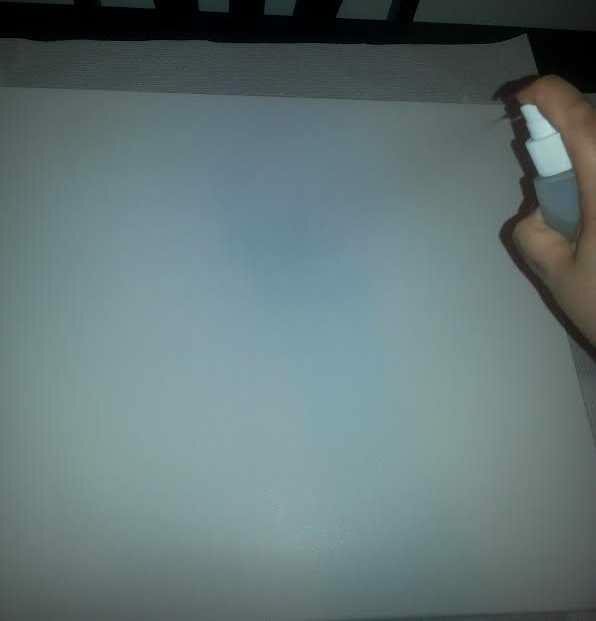 Take your spray bottle and saturate your canvas with the water inside of it. Once I do that I take white paint and squirt some directly onto the canvas in different areas because it will spread out more with the water. The white creates a good base and will lighten your color so that when you go to add more or a different shade they will blend well together. You won’t actually see the white paint unless you do it on purpose. 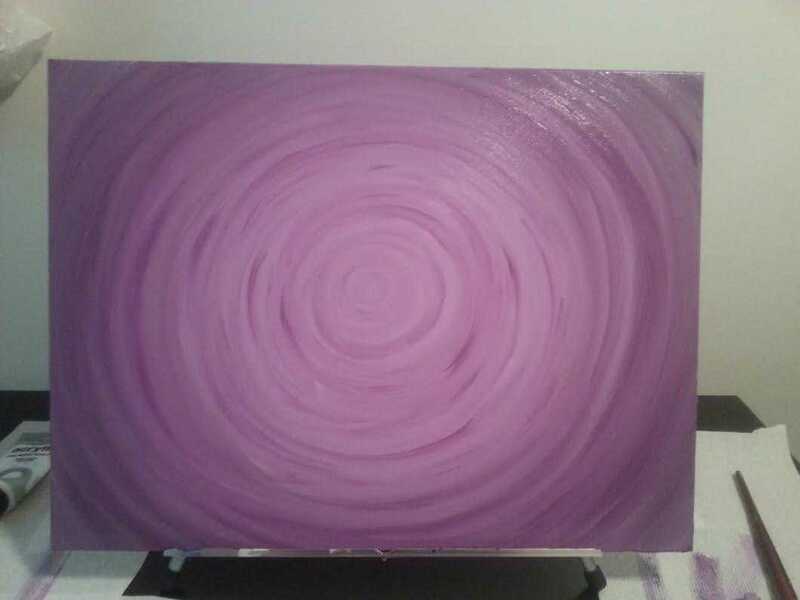 I applied my colored paint in a circular motion because that was the direction I was taking this canvas. Keep in mind you can do this in any direction. 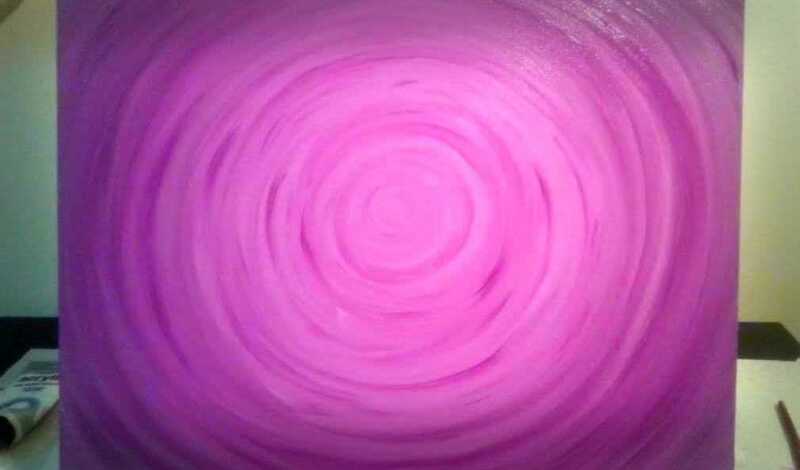 I take my brush starting from the inside and go outward in my desired direction. Here you will see some of the colored paint mix with the white until you add more color. Add your darker shade of paint the same way you applied the first color and repeat Step 2. Be sure to respray your canvas with water when you start to notice your paint not spreading out the way it did in the beginning. Once you’ve done that is when you can decide if you want to add another color or more of the same shades to even the blend out. For any other colors you add, continuously repeat Step 2 until you’re satisfied with your outcome. And then you’re finished! This canvas was done as a request and has since sold, but you can check out my store for other color blends! What do you think of my color blend canvas technique? Give me your thoughts and results in the comments below.